2019 will probably not be a year of surprises, good or bad, for the rare coin and precious metals market. It will likely be remembered as a year of the expected and a time of continuity and reasonable trading ranges. Without a Black Swan event, an extremely difficult to predict monumental occurrence, and I don’t expect one, gold will not surge in value and, by extension, rare coin values won’t reach for the moon. Silver, an industrial metal and commodity, will not see its most shining year either. The good news is that stability will reign supreme. 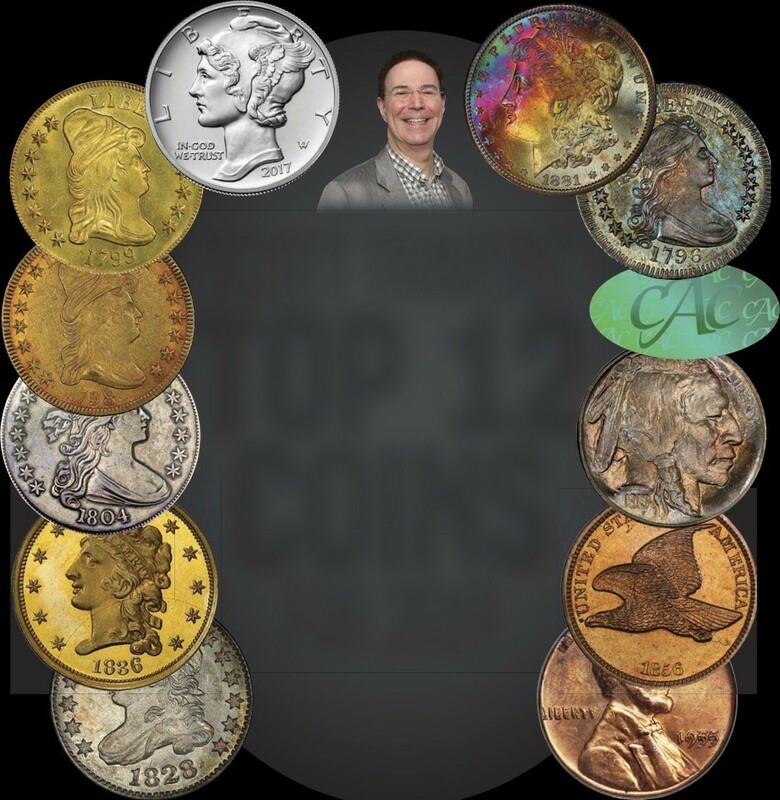 I wouldn’t be a big buyer of gold and silver bullion as an investment in 2019; instead, I would carefully and systematically acquire gold and silver coins for your collection. Platinum and palladium, however, are a diff erent story. These metals may well continue to outperform. So with your expectations set on safety and continuity, and having the luxury of a buyer’s market, here are my top 12 coins for 2019. In 2017, the U.S. Mint introduced its first palladium coin, the 1-ounce American Eagle bearing Adolph A. Weinman’s Winged Mercury dime obverse. It sold out its 15,000 mintage in a few minutes. The 2018 palladium American Eagle is proving to be just as popular. 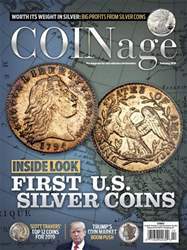 The U.S. Mint is jumping on the platinum-group metal (PGM) bandwagon. Palladium, along with rhodium, platinum, iridium, ruthenium, and osmium, make up the PGMs. This sector will see much demand as more nations are tightening emissions controls, and PGMs are required in catalytic converters. China’s new national policy for emissions standards will give a significant boost to platinum. Watch the premiums that you pay over the melt value. In December 2018, with palladium at about $1,200 per ounce, both business strike and proof examples of the palladium 1-ounce Winged Mercury American Eagle were trading for close to $3,000 apiece.